Gardening has many benefits. It gets you fresh fruits and vegetables at a very low cost. Food from your own garden tastes amazing–seriously amazing. Another benefit is that food has the most nutrition right after it is picked. If you are controlling when it is picked, you can either eat it right away or preserve it right away to get the most nutrition per bite. You also know exactly what went into the food, so you can get your food the way you want it. It is also a great and inexpensive way to be able to build up an emergency food supply if you want to. Gardening takes time, effort, and work, but is a lot easier than you might think. I thought I would share some tips that can make getting started gardening easier. Not everyone has a large chunk of land to dedicate to gardening. You might even be sitting in an apartment with no land. There are several plants that grow well in pots, so if you have a balcony, some gardening might be possible for you. My parents own over 13 acres of land, but last year they still planted tomatoes in a large pot. If you have some land but not a whole lot available, gardening is definitely still possible. My mother-in-law has a small yard, but does square foot gardening and gets an incredibly high yield for the amount of space dedicated to the garden. Gardening doesn’t have to be “all or nothing”–you can grow a few items or a lot of items. But before you decide what and how much, you need to know how much space will be available. However big you think you might want to end up, I think starting smaller than that is a good idea. You will really overwhelm yourself if you take on too much. Prepping a garden area takes time. Planting a garden takes time. But the real work comes in weeding and watering the garden constantly. While you are figuring things out, start small. “Small” is different for everyone–and honestly if your garden will consist of one bucket I think you will be fine going big ;). Don’t rely fully on this picture. Talk to people around you. For example, my valley is mostly one zone, but there are towns in the valley that are a zone warmer and towns a zone colder. So you will want to talk to the locals (see the section on Experts below). What you want will need to be directly impacted on your zone and your space. You might want bananas, but they just won’t grow in a zone five. You also might want pumpkins, but you need to be aware of how much space they require (a whole lot). Know, however, that as you gain experience, certain plants will become open to you if you really want them to. My husband’s grandfather grows a fig tree in an are of the world where they “can’t grow.” It does require effort, but he is able to do it. Make a list of what you would like and then find out if it can grow where you are and what kind of space requirements it has. Plant what you like to eat. There are many types of soil out there. Is it clay? Sandy? Rocky? What are you up against? Certain plants grow better in certain types of soil. Now, you can get really into soil. 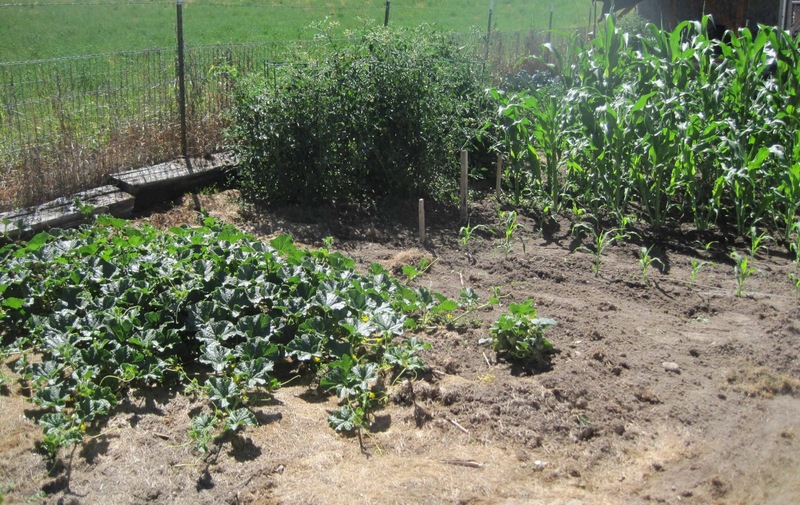 You can compost and fertilize and work…or you can see what happens with what you have. Some soil really won’t be able to grow much of anything without some work. There are some plants that are so picky about the soil that they simply will not grow unless pH levels are perfect. Blueberries are such a plant. In fact, my soil is such that there is nothing I could add to it to grow blueberries. If I want blueberries, I need to buy dirt and put it in a pot to grow the blueberries. You can pay to have soil tested, and that will be worth it someday, but we have yet to do it. We probably will in the next few years just to get some extra knowledge. But with knowledge often comes work, so we are taking things one step at a time. When it comes time to harvest, after you have been working so hard and long, you will want food that tastes good. Do some research and find varieties that are good. You might have to try a few different varieties before finding exactly what you love. It does make a difference. For instance, we really like our green beans. A neighbor gave us some green beans one day, and while they were good, we realized we liked our green beans a lot better. You can ask neighbors who garden, ask local experts, and also read reviews online to find good varieties to try. Find a locally owned nursery or garden store, then find someone who knows what they are talking about , and ask lots of questions. I have learned more than I could have ever wanted to know about things like the blossoming patterns of apple trees from these experts in my favorite local store. They will have lots of opinions. I have also learned a lot from parents and grandparents who have gardened for years. Don’t let their wisdom and experience go untapped. There are lots of little tricks you learn over the years–anything you can glean from them will push you years ahead in your gardening abilities. At the beginning of each year, we decide what we will grow, how much of eat item we want to plant, then we draw a plan up. We look at row spacing and plant spacing for each plant. We consider how tall plants get and how the potential shade of a plant will affect the plants around it. We also consider when you harvest. For example, lettuce harvests rather early. I like to put it next to plants that harvest later in the year. That way, the lettuce will be gone and pulled when it is time to harvest the other food–giving me more walking space. My husband gets his graph paper out and plots it to scale. During a season, you will plant different plants at different times. Our planting starts in April and we continue planting well into June–sometimes July if we decide to try for a Fall crop. It is not easy to remember in June where each item was going to go when you thought about it three months before. It also helps when your plants start to come up to refer to the paper. This is especially true if you plant two plants that are similar–like snow peas and garden peas. The look very much the same, but the look of the pea pods is very different when you need to harvest. We have mistaken snow peas for garden peas…and a snow pea the size of a garden pea is not very tasty. This is something I started just last year. I was always having thoughts about “next year, we need to plant more peas” or “next year, we need to make sure our butternut squash is not right next to our jack-be-little pumpkins,” but when next year came, I knew there was a lot I was forgetting. So I got a blank notebook. At the top of each page, I wrote the name of an item that we grow. So on the top of one, I would write “Onions.” Then I would write things I learned. I would also write how I liked the variety and if I thought the amount we plated was too much, too little, or just right. The journal is a great way to keep everything straight and avoid having to “reinvent the wheel” year after year. George Washington was one of the first farmers in the United States to start crop rotation. This is another reason to draw a chart, and to keep your chart year after year. You want to change where you plant certain foods because different foods draw different nutrients from soil. I should note, however, that in square foot gardening you put a lot back into the soil and you can plant things in the same spot. When we first started gardening, we decided to approach it like we were just practicing. We wanted to see what we could grow and what we liked to grow. We basically planted a little bit of almost everything. We have experimented with different things over the years. Plan on practicing for a few years–not on having a perfect garden right away. We were surprised at how easil things grow with basic attention. But you can’t expect everything to go perfectly. We have found foods we don’t want to grow again (like potatoes; we decided that the amount of garden space they take up versus the work involved and the yield you get is not worth it–especially as close as we are to Idaho and buying fresh spuds from farmers–I don’t know how they make money). We have also found foods that we basically can’t buy from the grocery store because there is simply no comparison as to how good they are homegrown (like tomatoes–if I could only grow one thing, it would be tomatoes). So practice, take notes, and plan on improving over the years. We live somewhere where the only month you are ever not concerned about frost at night is July. If it frosts where you live, you need to be someone who watches the weather and prepares for frost. Be ready to cover your plants if frost is possible. Frost in the Spring isn’t always a bad thing; we have “lost” plants to frost that have come back with a vengeance. But there is a point in the year they can’t recover–and nothing is worse than losing your harvest to frost in the fall. Pay attention to frost! Of course plants need water. They also need you to keep the weeds off. There are lots of tricks you can use to make watering and weeding easier. I could write a post just on keeping weeds down–but this isn’t a gardening blog. I just want to share information to get you started and let you know what to look for. Ask the experts, google it, and believe me that the effort it takes initially to keep weeds down is worth it. There are also particulars about water–like that some plants do better with more water and some do better with less water. There are lots of neat ways you can set up watering systems…but in the beginning, I would (and do) just water everything together unless you are having to water by hand. There is so very much more to gardening than these basics. But start with the basics, start simple, take your time, and enjoy it. There is so much satisfaction in growing your own food. It is very much worth your efforts! If you have any gardening tips, please share! If you have questions, I will answer them if I can. Oh yes, I love having our own vegtables. I already have tomatoes and green onions started. We had a great potato crop last year and are still enjoying our home grown potatoes. They even taste better than the store bought ones. We grew so many we'll even have enough for our own seed this year. Gardening has so many great benefits, even it you only do a little. Good article! I'm so excited to garden for the first time this year. Unfortunetly, we are house shopping so, hopefully we'll find a house soon and then I can start on our garden! I'm so excited you did a post on gardening! This will be the second time we've attempted gardening. The first time we did it was an utter disaster and it's taken us a long time to find the energy to do it again.I was so not expecting a gardening post on your blog but I'm so happy you did one. What wonderful tips! I can't wait to try them out.Thanks so much! Thanks for this blog! I was confused at first. Thought maybe I was looking at the wrong blog. We have thrown this idea around since buying our new house last January. I think I'm gonna try it-start small and simple! How inspiring! I live in an urban area, but we do have balcony and patio space so maybe I can start there. Thanks for this! Extremely helpful! I have one question and one comment. What do you use to protect your plants in case of frost? And I am a newbie at gardening, but we found in our first two years that laying mulch over top of the ground around the plants helped tremendously to keep the weeds down. Thanks for the gardening post. I live in California and do not have a huge amount of space to garden BUT my parents have always had a garden and my mom persuaded me to plant tomatoes in pots when I was pregnant with my son. It was so easy and we had tons of delicious tomatoes! Now I plant several pots of tomatoes along with pots of strawberries and blueberries. My son loves to help pick and eat everything!! Kim, I have done early starts before and they have worked. They go through a certain amount of transplant shock, but there are some starters kits you can get that are supposed to minimize them (though I haven't tried them–but look at Gurneys.com, I love their stuff). And thanks for the zone map link! That is great! Kristy, we are in the process of deciding that. 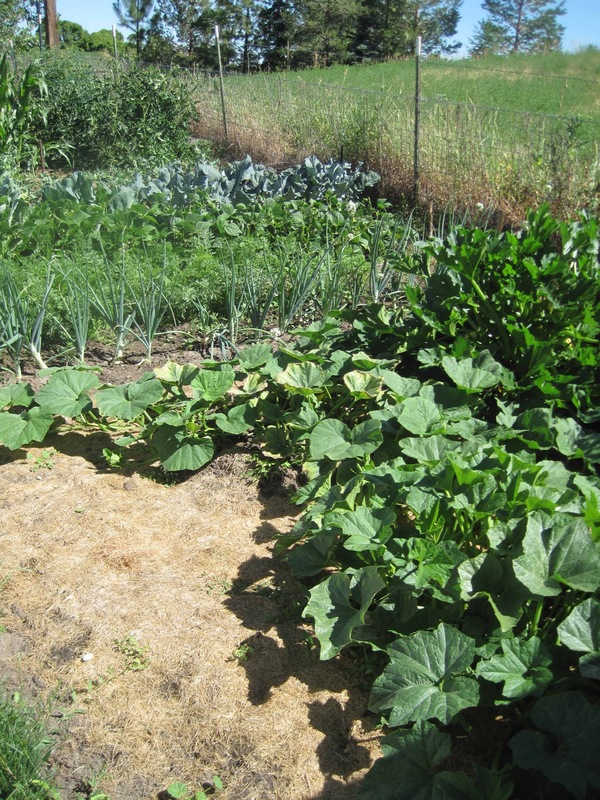 You can use blankets and you can use tarps, but our garden is large enough that can be a headache. We are thinking through some ideas…I will keep you posted if/when we come up with something. Oh, you can also use buckets. And, I use wall-of-waters in the beginning, but our biggest issue is actually fall frosts, not spring. So the plants are big by then.Mulch is a great idea. Some people use black fabric (made for gardens, some pea gravel, some bark, we have used grass clippings…it does help a lot.